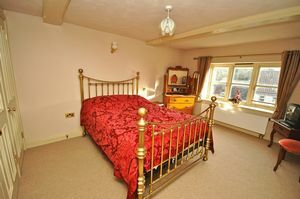 The Saxon village of Wedmore has existed for well over a thousand years and is delightful and extremely active centre. There are historic buildings including the medieval church next to an old coaching inn, interesting and varied shops including a newsagent, butcher, chemist etc. together with others usually only found in larger county towns, plus pubs, restaurants and tea rooms. There is a wide range of clubs and societies, cultural and sporting. Most sports activities are catered for in the area. Swimming pools at both Cheddar & Wells; Sailing & Windsurfing Clubs at Cheddar Reservoir; the Badgworth: Equestrian Centre and the Wedmore 18 Hole Golf Course; In addition, approximately 10 minutes walk from Mendip Cottage there are floodlit Astroturf Tennis Courts, Indoor and Outdoor Bowling Greens, Football and Cricket pitches and a Children’s Play Area. 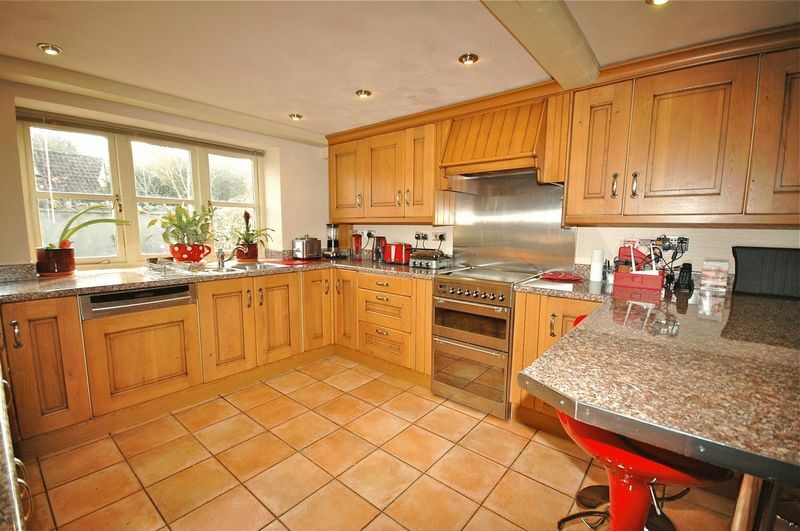 KITCHEN: Ceramic tiled floor with under floor heating. 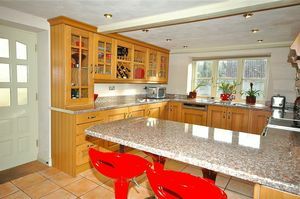 Generous range of wooden wall and base units, some of which are glazed, also incorporating a wine and plate rack. 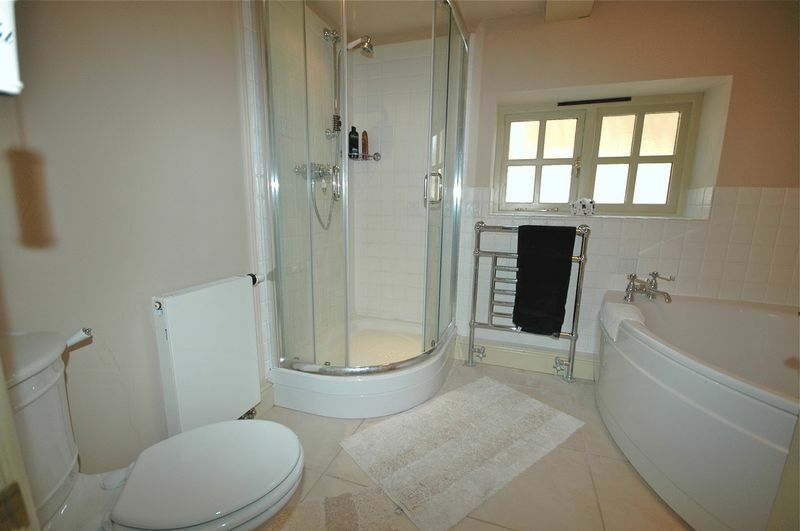 There is one and a half bowl sink unit beneath the south facing window which has a deep tiled display sill. 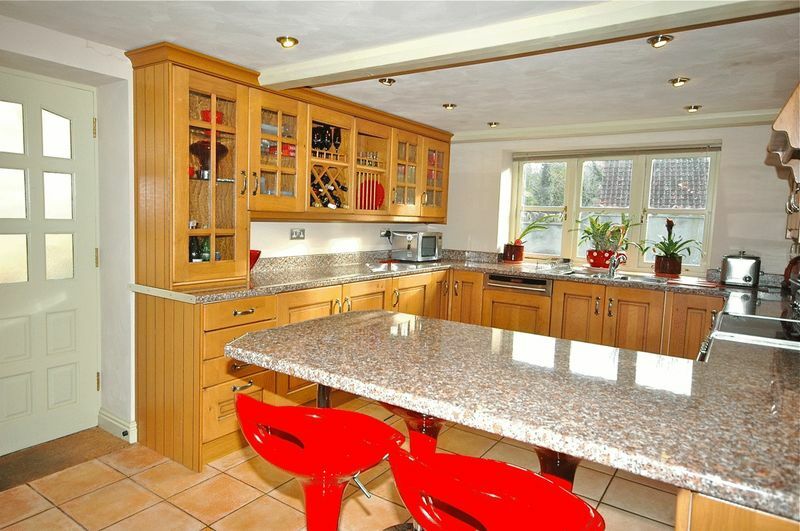 Laminate work surfaces with matching up stands. Four ring halogen hob, and stainless steel splash back behind. Useful peninsular breakfast bar which adequately seats four. Inset ceiling lights. The room continues into – SITTING ROOM Window overlooking the side courtyard. Wall light points. Painted ceiling beams. Radiator. From the family room is a metal spiral staircase to - Landing with radiator, doors to - BEDROOM: Deep window overlooking the courtyard garden. There is a generous range of fitted wardrobes with hanging space and shelving within, also discreetly housing the hot water tank. Wall light points. Radiator. BEDROOM: With window and deep sill to side courtyard. Radiator. 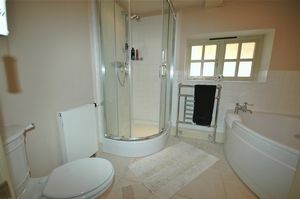 BATHROOM: White corner bath and fully tiled corner shower. Full tiling to walls. Window to side. Heated ladder radiator. White WC and pedestal basin. Further radiator. 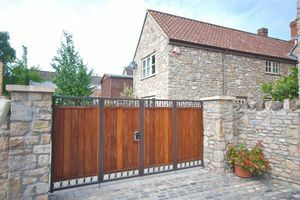 At the rear of the house is a flagstone paved garden which incorporates secure and gated parking for two vehicles, as well as a very private paved courtyard area with inset planting of trees and climbers over the stone walls. Outside lights, power points and tap. IMPORTANT NOTICE - Roderick Thomas, their clients and any joint agents state that these details are for general guidance only and accuracy cannot be guaranteed. They do not constitute any part of any contract. All measurements are approximate and floor plans are to give a general indication only and are not measured accurate drawings. No guarantees are given with regard to planning permission or fitness for purpose. No apparatus, equipment, fixture or fitting has been tested. Items shown in photographs are not necessarily included. Purchasers must satisfy themselves on all matters by inspection or otherwise. VIEWINGS - interested parties are advised to check availability and current situation prior to travelling to see any property.